Ficus trees grow indoors or out. Rubber trees and weeping figs are appreciated as houseplants for their year-round deep green foliage. Outdoor ficus grow as ornamentals, though some varieties are grown for their edible fig fruits. Whether the ficus is grown as a landscape tree or a houseplant, the proper soil conditions help that ensure the plant remains healthy. Good soil helps a ficus remain healthy. Ficus grow in soils with a pH between 6.0 and 6.5. Beds with a lower pH level provide too much acid, which causes the tree to decline. Standard potting soils fall within the proper pH range, but avoid any soils labeled for azalea or rose use, as these are formulated to contain more acid. Outdoor sites require a soil pH test to ensure the soil isn't too acidic. The test indicates the pH level and lets you know if a lime application is necessary to raise the pH before planting. Any planting site with the correct acidity works well for a ficus as long as it drains well. Loam soils contain high amounts of organic matter, and this aids drainage. A clay soil may become waterlogged during heavy rainfall or after irrigation. Avoid beds prone to standing water or waterlogged conditions, as ficus performs better when the roots don't become soggy. Sandy soils have excellent drainage but may require more frequent irrigation to maintain the proper amount of moisture. Indoor ficus perform best when provided with regular applications of a soluble fertilizer to replenish the nutrients in the potting soil. 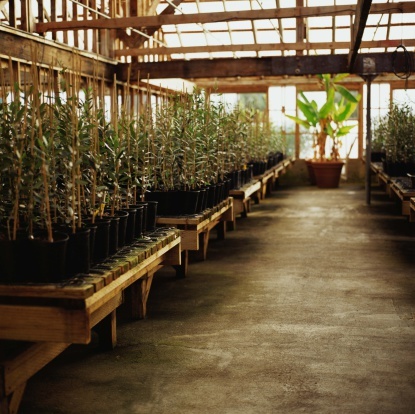 The plant only needs a light application of a general-purpose houseplant blend applied at half the label rate every four weeks. Only fertilize when the ficus is actively growing in spring and summer. Outdoor ficus have access to nutrients naturally in the soil but still require some fertilization. An application of a 10-20-20 fertilizer blend at the rate of 2 ounces for newly planted trees and 3 to 4 ounces for mature trees every six months replenishes the necessary nutrients in the soil. Whether the tree is grown indoors or outdoors, the soil in a ficus pot is only as good as the container. 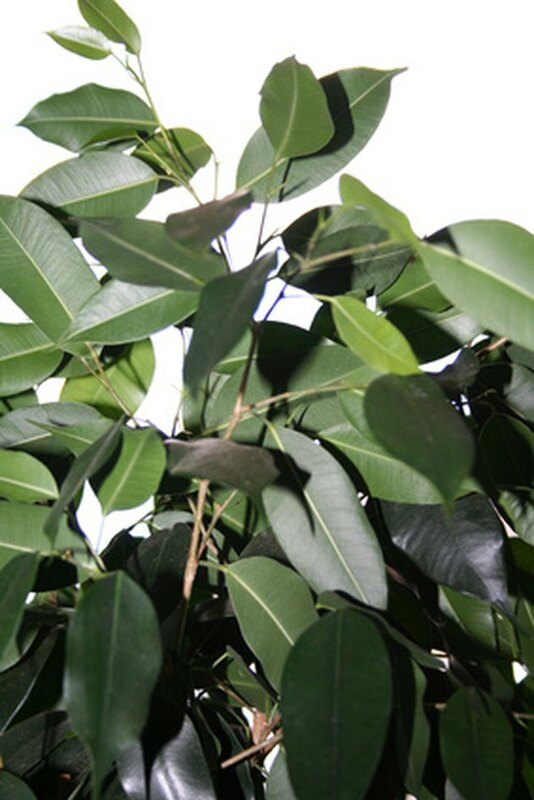 Ficus grow better in soil that remains slightly dry as opposed to overly moist. Containers with bottom drainage holes prevent high moisture buildup within the soil. Using only potting soils works best, as garden soil is too heavy and compacts around the ficus roots. Compacted soils drain poorly and can't provide the aeration necessary for the ficus roots to absorb oxygen and nutrients.